AJP Hydraulic kit for conversion of cable pull clutch to hydraulic. Reduces clutch pull effort and increases clutch feel and control. 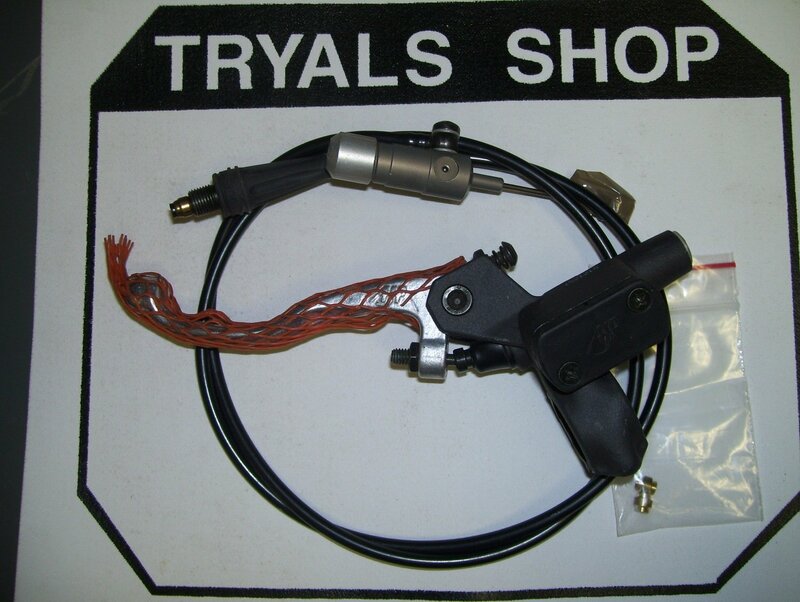 Replaces clutch cable control on all Scorpa four stroke SY 125 and 175 models 2004-2008. Uses dot 4 brake fluid. Kit includes clutch master cylinder. slave cylinder, hose, and fittings.